A DSSAT training workshop was held from April 9 through April 13, 2018 at the Training Center of Pt. Great Giant Pineapple, Terbanggi Besar Km 77, Lampung Tengah, Indonesia. The workshop was attended by 21 participants who were introduced to an updated version of the ALOHA-Pineapple model of DSSAT Version 4.7, with specific applications as it relates to pineapple production. 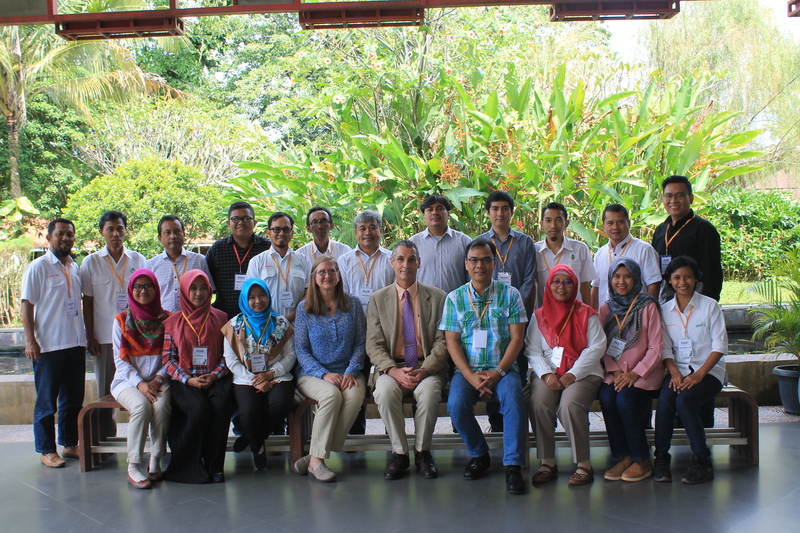 The workshop was organized by Dr. Reynato Umali, Associate Director Research and Development, Great Giant Food, and financial support was provided by Pt. Great Giant Pineapple. The workshop instructors were Cheryl Porter and Gerrit Hoogenboom. There are plans for a future meeting to discuss improvement of the ALOHA-Pineapple model to facilitate practical applications of DSSAT and the model in the pineapple industry.